New Zealand is starting to gain a significant following within the wine industry for a few good reasons, not the least of which is that their style of crisp, acidic and affordable offerings are becoming more and more popular with younger generations of wine buyers. While our selection of New Zealand wines can still be limited at times since it often takes the international distribution model years to catch up to consumer sentiments, this small country of around four million offers some of the most interesting and unique wine tasting experiences anywhere in the world. The following three wine regions are great places to take a trip and experience New Zealand wine, culture and the islands people. Located on the North Island, on the East coast Hawke’s Bay has become something of a home for Bordeaux varietals in New Zealand. While most of the wine production is centered around relatively new start up style wineries, the Mission winery is the oldest in New Zealand having been founded over 150 years ago by French priests looking to gain followers to the Catholic Church in the region. Hawke’s Bay is also well known for its local food movement as the birthplace of the modern Kiwi Farmer’s Market. A world heritage center site for its large collection of 1930’s Art Deco style architecture Hawke’s Bay offers a little something for everyone and it doubles as one of the most beautiful places on Earth, making it a nice relaxing few days on any vacation to New Zealand. The world’s southernmost vineyard sites belong to Central Otago, a mountainous area, inland on the southern island of New Zealand. Originally known for little more than sheep farms and orchards, the advent of the modern wine industry in New Zealand has been a boom for the sleepy towns sprinkled throughout the mountains in Central Otago. Of course, if one considers Hawke’s Bay to be among the most beautiful coastal settings in the world, they couldn’t argue that these rugged fog capped mountains are among the most beautiful inland settings one could ever find. It’s a lot like stepping back in time when you visit Central Otago, take the time to bicycle through Central Otago on any trip to New Zealand. Yes, biking on a dirt road is a challenge for most of us, but the opportunity to see nature literally untouched by human hands is becoming more and more rare every day. No conversation about wine growing regions in New Zealand would be complete without at least a passing mention of Marlborough. Located on the northern most point of the Southern island, Marlborough offers an opportunity for a little bit of everything from food- and wine-centric vacations, to some of the best kayaking spots on the planet to the ability to visit the sets from the famed Lord of the Rings movies. Home to the best known New Zealand wineries like Kim Crawford, there are over 120 wineries within a short distance of each other on Marlborough’s wine trail. 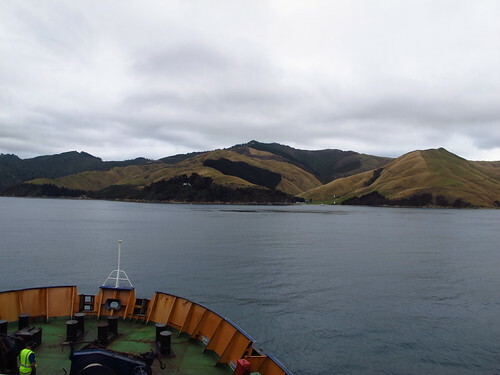 It’s an outstanding place to visit, offerings some of the most dramatic vistas that you’ll find anywhere, especially looking out across the Pacific Ocean toward the north island of New Zealand. Mark Aselstine is an owner of Uncorked Ventures, a high-end wine business. Mark loves to travel to wine regions around the world. If anyone knows wine, it’s Mark. Should You Risk Eating Street Food in Thailand? As someone who declares ‘food’ as one of my main hobbies, I find it very difficult to tell anyone not to try any type of food they can get their hands on. Street food is no exception. By far some of the best food I have eaten on my numerous trips to Thailand is from a local man or woman selling their homemade delights from their wooden cart on the street or from a stall at the market. Not only is it fresh, delicious and as authentic as it gets – it’ll cost you less than the morning paper. Yes there is the possibility that it can result in a day on the toilet, but if you follow these tips you can practically eliminate the risk of getting sick. If you’re ordering cooked food always make sure it’s steaming hot – the hotter it is the less chance that bugs and germs can survive on it. The main reason that people get sick from street food is because they eat food that has been sitting around for a while. Especially when eating meat and seafood, the food should – where possible – be prepared in front of your eyes and not the leftovers from the day before. Like in most developing countries, the tap water is not suitable for drinking. Despite that, the locals still use it to wash salad and fruit – as well as use it to make ice cubes. And while their stomachs may be able to handle it in small doses – you will probably not be quite as lucky. Fruit that has just been picked and is still in its skin is fine to eat – but avoid any that has been washed and prepared. Likewise with salads, save those for when you get home! Just as you’d hesitate to go into an empty restaurant at home, the same goes for street and market stalls. If it’s empty while all the ones around it have people lining up – then it’s probably for a reason. The locals naturally know the best places to eat – so if they’re there, you know it’s good. Plus, the turnaround of food is much faster when it’s busy – so it’s more likely to be fresh. Finally, ENJOY what you’re eating and soak in the flavours. Because, if you are sick the next day you can at least tell yourself it was worth it (sort of! ).